The song starts off with: “It’s the most wonderful time of the year…” For many of you it is…the joys of Christmas with family and friends. Buying presents for loved ones. Holiday dinners and toasting for a new year filled with excitement. We see ads with happy faces and smiling families around the Christmas table. Old and young alike. It’s picture perfect. For many it emphasizes loss. What used to be and what will never be again. And it hurts. A lot. This first holiday with missing loved ones is extremely painful. Grief hurts. Especially now. It’s no longer that most wonderful time of the year. But we are still expected to function even as we are bombarded with reminders of what should be a happy time. All we can remember is what was, and is no more. All we have left of them are memories, and they aren’t here to make any more with us. While I can’t make it better, and I can’t make the hurt stop, I can give you some ideas of things we did that helped, as well as ideas from other friends. A few years after Ashley was born, my mother had a friend knit Christmas stockings for each of us, including one for her that said “Grandmom”. The first Christmas without her, I couldn’t not hang it up; it just didn’t feel right. So hers was, and still is, in the middle of our stocking display, with a spray of red silk roses in it, her favorite flower. The Willow tree angel holding the rose on our mantle was the last one I’d given her on Mother’s Day, and stands watch over our stockings. This is the ninth Christmas without her, and that stocking is filled every year with those roses. I’m sure she’d approve. When I was packing up her house I had found several Christmas cards she’d bought and probably forgot where she’d put them, so I signed her name and gave them to Ben and Ashley that first year; one read “For my wonderful Granddaughter…” I think Ashley still has it. We had also brought the Christmas ornaments home she’d used on the little tree in front of her fireplace. Ashley and I divided them up and used them on our trees. This year she proudly hung the one we gave them for expecting their first baby beside the last ornament she had given my mother…that said “Best Grandmother”. Several of my friends use their mother’s ornaments on their trees as well, and one friend actually uses all her mom’s ornaments on a tree dedicated to her mother. Another friend has taken several small collectibles that belonged to her mother and used them for Christmas ornaments. Some people put framed pictures of their loved ones on the holiday t able as a way of still having them join the family. I tried it for two minutes; it was too painful, but it may not be for others. In a similar fashion, others elect to display a picture of their loved one near their tree or other place of honor, with Christmas décor around it, and sometimes even a small wrapped box as a memorial gift. Other families have also taken special items that belonged to their loved one, and given them as Christmas gifts to family members that first year, including a note about why the item was chosen for them. One friend gave a mixing bowl to her mother’s sister, with a note telling her how she remembered watching her mom make her sister’s favorite recipe in that bowl, and she wanted her to have it as a remembrance. What she hadn’t known, was that bowl had originally been given to her mother by that sister, as a birthday gift. I have also talked to families who would write a brief letter to their loved one every year, tie it to a helium balloon, and release it on Christmas Eve or Christmas Day, as their gift to them. Another family I know, whose mother was dying of cancer, recorded her reading “The Night Before Christmas” before she passed away, so that she could still continue her tradition of reading it to her grandchildren every year. I have also h eard of families asking friends and relatives to write a handwritten note with a memory of their loved one at the holiday season, along with a picture if they have one, and bring it to the holiday dinner. The notes are collected and placed in a basket to be read privately during the evening, or they can be read aloud for all to hear; personally I would handle it privately, as my voice still sometimes chokes when I talk about my mother, and it’s been nine years. 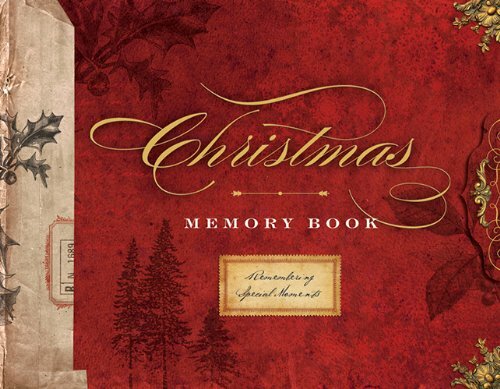 The notes can later be made into a scrapbook or other memory book, which can be displayed each year as another special remembrance. Many people advise grieving families to start entirely new traditions that will help ease the sadness, rather than try to do what you would normally have done when your loved one was still here. But that decision is entirely yours; there is no right or wrong way to survive holiday grief. However you choose to handle it is the right way for you, and it should be your decision. I know it’s hard. But one thing I kept telling myself that first year, is that my mother would not have wanted us to mourn her, or be sad in any way. She would not have wanted us to do anything different just because she wasn’t around. So we chose to remember her and honor her in ways that fit her unique personality and character. And I truly believe she would have been pleased…except for the times I cried for her privately. This year, however, will be a bit different. Because this year we will have our first grandchild, our granddaughter Rachel, who is named after my mother, celebrating with us. I cannot help but wish my mother were still here with us to see her great granddaughter, her namesake. I know how excited, and how proud she would be of her. But I also know she is celebrating Christmas in a way I can never imagine, and I know she is also watching us from heaven during those special moments the Lord allows. I know she is smiling and excited, and so very happy to see that her beloved granddaughter Ashley now has a daughter of her own. However, the joy of our granddaughter still does not take away all of the pain of missing my mother. Because the loss is still there. 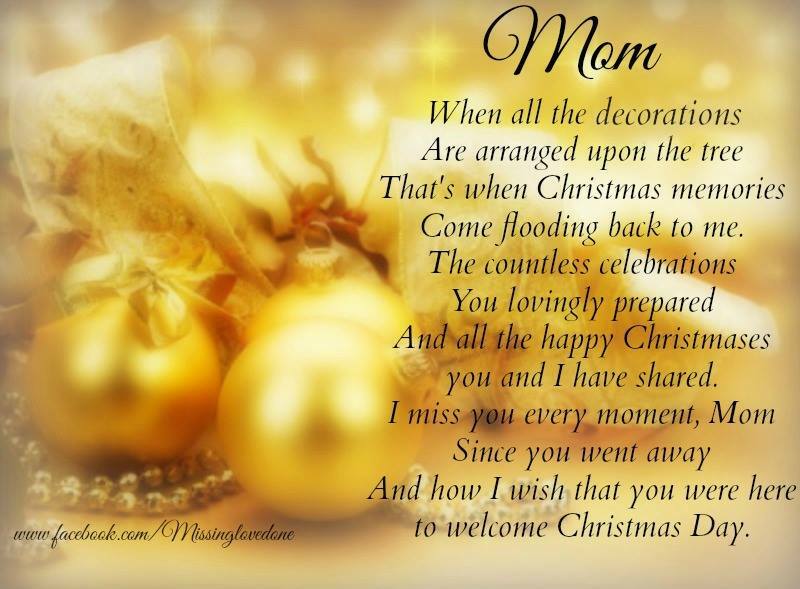 I’m sorry, Mom, but I’ll always miss you…. Previous Flamingos Love Christmas, Too!